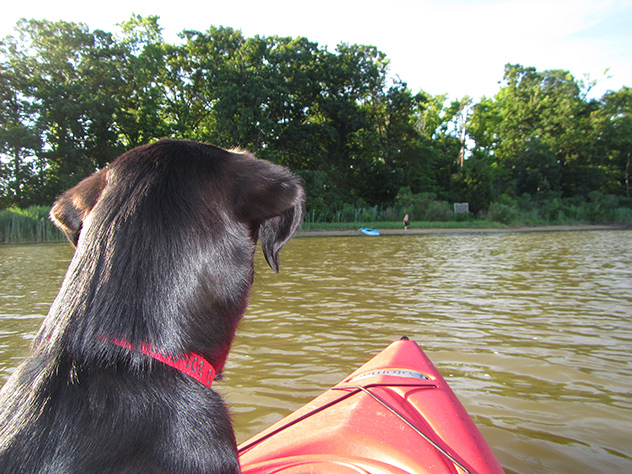 We planned for this weekend to be a simple family-only get-away, with equal parts swimming, boating and biking. 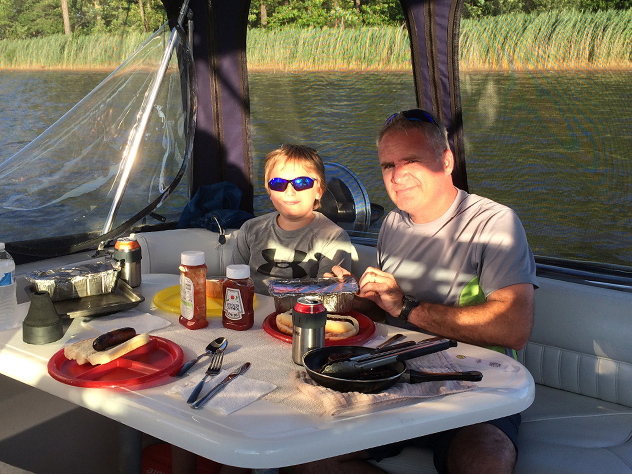 With excellent weather predicted for yet another in a long string of weekends, we took food for grilling as we headed out to the marina early Friday evening. Christina’s crew arrived at the marina before dusk, affording the crew time to relax and make it to sleep well-before midnight (for once!). 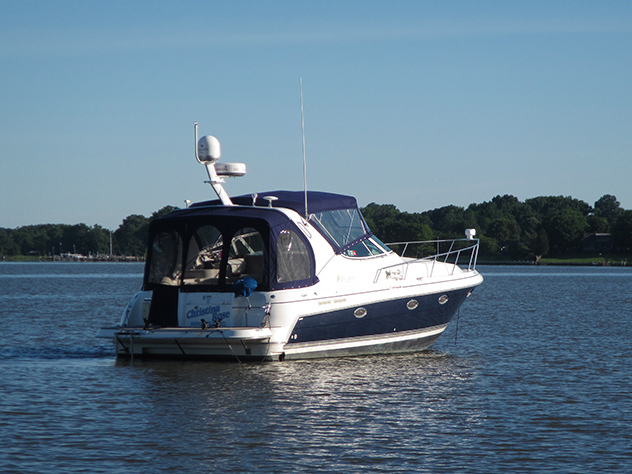 While predictions for high temperatures was accurate, the weatherman failed to mention the high winds all day Saturday, which could be seen and felt while enjoying our weekend ritual of donuts and coffee at the marina’s office. 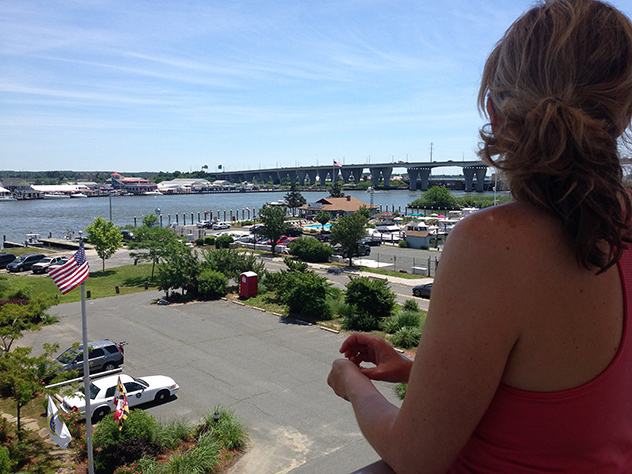 Though the variety of donuts at the marina sure looked good, our view of whitecaps passing by out in the Chester River certainly didn’t! Knowing the southerly winds held the flags straight-out, we took our time heading out of the marina on Saturday, spending a couple hours at the pool before we shoved-off for our favorite anchorage in the early afternoon. Although the wind kept trying to snuff the Magma, we were eventually successful gorging on hot dogs and sausage, before relaxing down in the cabin for family movie-night. 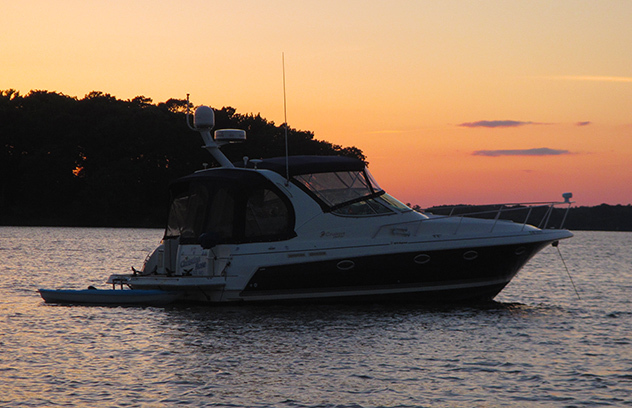 A quick shore-trip for the 2nd-mate as the sun set, in preparation for movie-time. The wind and water bumped the Rose during the movie and continued until 2am-or-so, eventually becoming completely calm and quiet for a great night’s sleep under a full moon. Father’s day 2014 was perfect, from start to finish. Coffee churned while Christina’s crew prepared for an early run back to port; we wouldn’t ordinarily leave so early on such a gorgeous morning, but plans for donuts back at the marina, cross-island biking, and Father’s Day lunch meant an early departure from our anchorage for the Rose! A gorgeous cruise back to the marina Sunday morning, coffee and donuts once again at the marina office on yet one more spectacular morning at the docks. The admiral got in a 3-mile run while the Captain gave the Rose a much needed bath before the crew headed off for a ten-mile bike-ride around Kent Island. A quick trip to the showers before heading to the Pour House for Father’s Day lunch before picking up and heading home. A perfect end to a perfect day on one more perfect weekend for the crew of the Christina Rose. 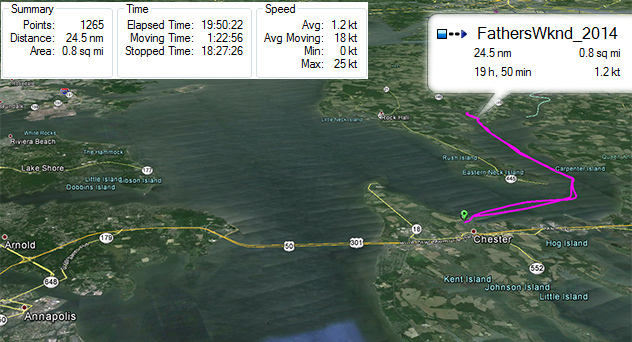 All-in-all, another spectacular weekend, covering 24.5nm in just-under 48-hours, averaging 18kt while underway.